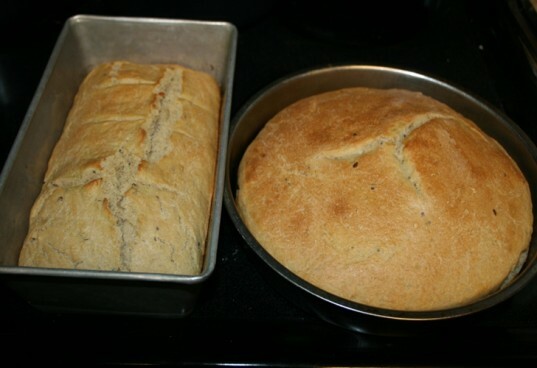 There is nothing better than homemade bread. After I made my first loaf I had no clue why I hadn't tried making it sooner! I was amazed at how simple it was to make. I love taking a loaf to dinner parties, as housewarming gifts, or for new parents. Organic honey bread is great for sandwiches, soup, and goes great with Italian dishes. 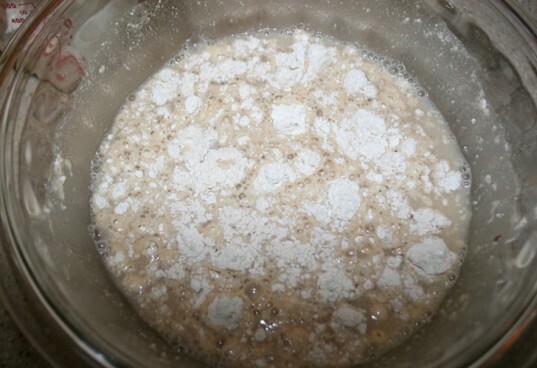 In a bowl, add 2 cups of warm water and the 2 packets of yeast. Dissolve for about 10 minutes or until foamy. 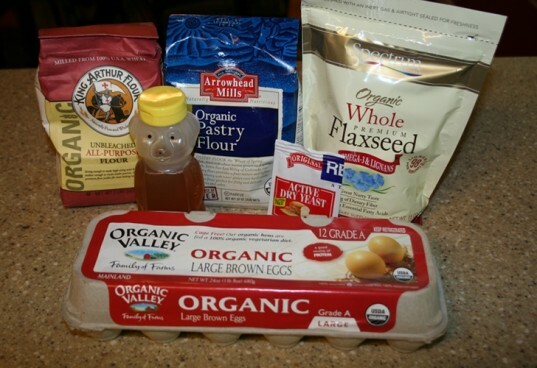 In a mixing bowl, add the yeast mix, honey, and pastry flour. Slowly add the all-purpose flour (you will need to use your hands) until you are able to form a ball. If you have an electric mixer with dough hook, this works best. On a floured surface, you want to knead the dough for about 5-7 minutes. This is the most important step when making bread. Some Western cultures believe that your energy goes into the food you are preparing. Well, I believe that especially when it comes to making bread. I only knead when I’m not distracted (I’ve asked my kiddo to leave the room on several occasions) so nothing but love and positive thoughts are going into the bread. After you have kneaded your dough, oil a glass bowl with 1 tablespoon olive oil. Then place your dough in the bowl in a large ball. 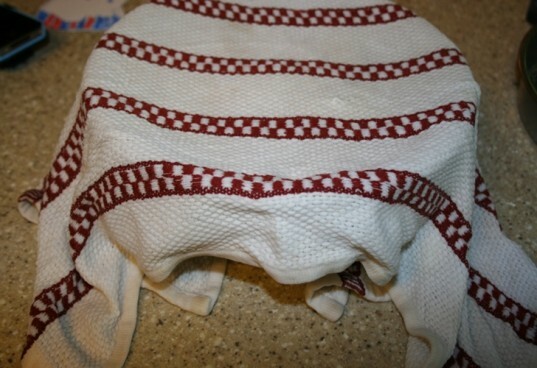 Wet a towel with warm water and place over the bowl. Place in a warm area – I sit it on my stove and go ahead and preheat the oven to 375F. Let rise for 35 minutes. 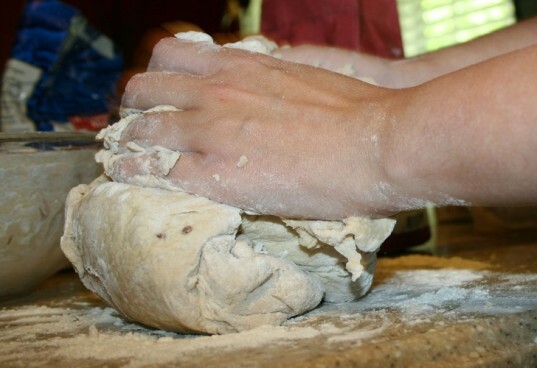 After your dough has risen, take out of bowl and punch down. Then knead for 3 minutes. 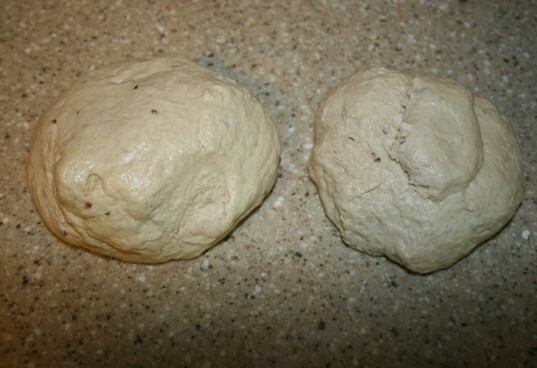 Break the dough into 2 equal parts and knead each for 3 minutes. 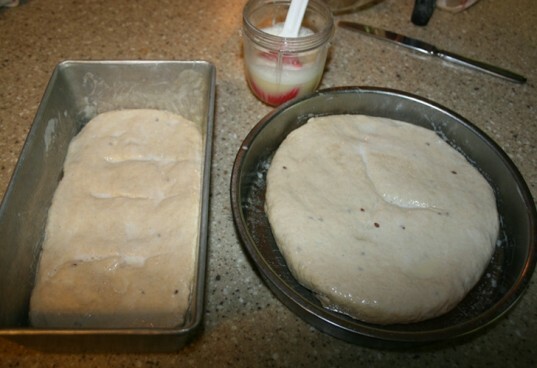 Place dough in greased loaf or pie pans. Make 3 slices on each loaf, but be sure to not cut through. 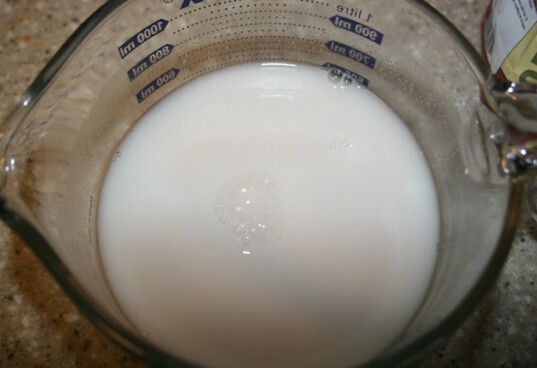 Mix egg with 1 tablespoon water to make an eggwash. Brush eggwash mixture onto each loaf for a shiny crisp crust. 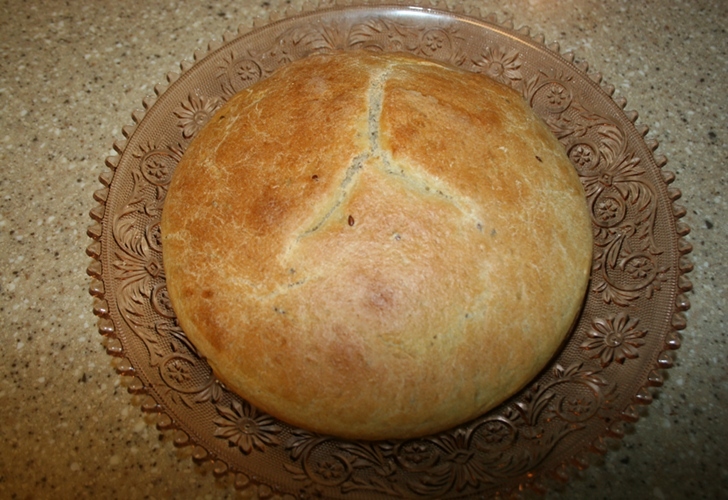 Bake your bread at 375F for 30 minutes. Remove from pans and let cool on a rack. Serve with soup, Italian dishes, or make sandwiches. You can freeze your extra loaf to keep from spoiling. On a floured surface, you want to knead the dough for about 5-7 minutes. This is the most important step when making bread. Some Western cultures believe that your energy goes into the food you are preparing. Well, I believe that especially when it comes to making bread. I only knead when I'm not distracted (I've asked my kiddo to leave the room on several occasions) so nothing but love and positive thoughts are going into the bread. After you have kneaded your dough, oil a glass bowl with 1 tablespoon olive oil. Then place your dough in the bowl in a large ball. Wet a towel with warm water and place over the bowl. Place in a warm area- I sit it on my stove and go ahead and preheat the oven to 375F. Let rise for 35 minutes.